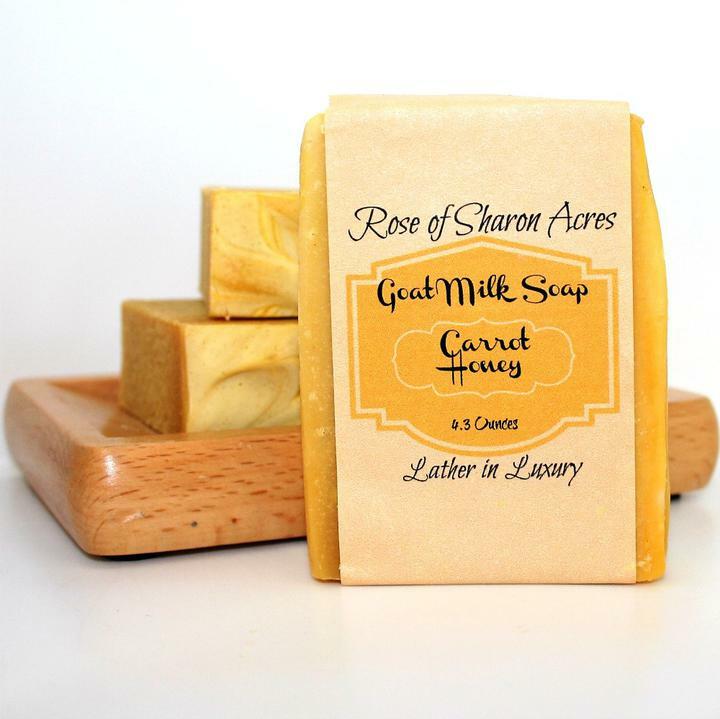 Made with organic carrot juice, this pure and natural soap bar is packed with skin nourishing oils, vitamins, protein, anti-oxidants and beta-carotene. Carrot juice has an ability to revitalize, rejuvenate and tone mature or sun exposed skin. 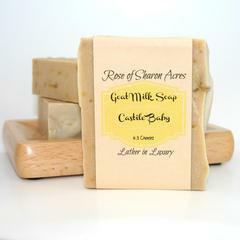 The alpha-hydroxy acids and rich butter fat in goats milk provides moisture at the cellular level. Honey, is included for it's hydrating properties. This bar is an excellent fragrance free facial cleanser! Topped off with local raw honey and cocoa butter, this bar could be called the 'fountain of youth'! This soap is so good for dry and sensitive skin. No fragrances are added so this soap is wonderful even for babies. One of my favorites - my husband loves it, too! This is one of my favorite ROSA soaps. This soap is so mild and gentle. I have combination, middle aged skin and the soap does not dry my face out. It feels absolutely silky on the face when you wash with it! It's such a nice, pure soap.